BONTOC, Mountain Province – The Provincial Veterinary Office here reported the number of poultry farmers receiving livelihood assistance in the province continue to rise. Dr. Rodelio B. Bagawi, the Provincial Veterinary Officer, said that many individuals and organizations have availed of the poultry production program of the government during last Monday’s turnover of 1,500 heads of range chicken to province-wide beneficiaries. 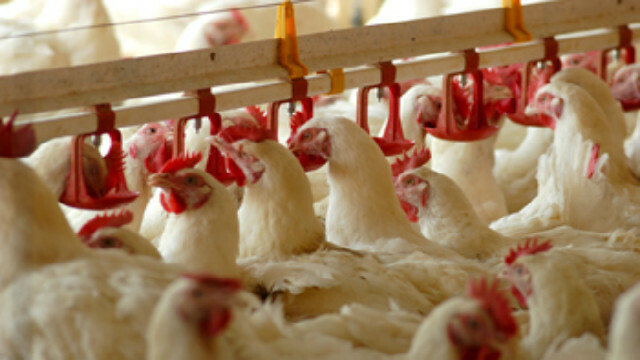 Bagawi said that the recent disbursement of chicken is a joint endeavor of the provincial government in partnership with the Agricultural Training Institute (ATI) of the Department of Agriculture (DA-CAR) as funding agency. He added that under the same program, 1,500 heads of itik-Pinas (ducks) were earlier distributed to the identified province-wide beneficiaries last month. The disbursement is a follow-up activity of the poultry development and production seminar to Mountain Province poultry farmers which was conducted by the DA-CAR through its ATI last June. Under the program, identified farmers received 10 female heads and 2 male heads of chicken or itik-Pinas with the condition that the first recipients will roll out the same number of chickens or ducks they received as their share of responsibility to their fellow farmer or neighbor who will also do the same after producing offspring. Governor Bonifacio C. Lacwasan, Jr., who led the turnover to its beneficiaries thanked the ATI for bringing the source of livelihood that will improve the production of local food supply in Mountain Province. “This will surely boost the poultry industry in our place and will ensure that our constituents will have a steady source of food and livelihood to sustain their families. This is a result of the government’s steadfast efforts to deliver its services to our people. Rest assured that your officials will work hard with our partner agencies to maximize government intervention to improve the status of our constituents,” the governor said. The chief executive added that the program will greatly augment the existing ranged chicks dispersal project of the PLGU that is lodged in its “Barangay Muna” program. Under this project, the provincial government is annually allotting a 1.5-million-peso amount for the purchase of ranged chicks that are distributed to interested and identified organizations in the province. He encouraged the recipients to take good care of the poultry package and abide with ATI’s scheme to share the blessings to their neighbors upon production. Among the recipients of the chicken dispersal program is Erlinda Copas of Sadanga, an officer of a local organization in her place, who expressed gratitude to the agriculture department and to the provincial government for the livelihood intervention. “This means a big thing to me and my family and to all the other recipients. I will take good care of the livelihood package and pass the same number of the animal’s offspring to a member of our organization and assure that he/she will do the same scheme so that everyone in our organization will benefit from the program,” she said.